Select Admin from the bottom of the left navigation. Select Settings from the menu that appears. Select Alerts tab and then select Slack Integrations section. 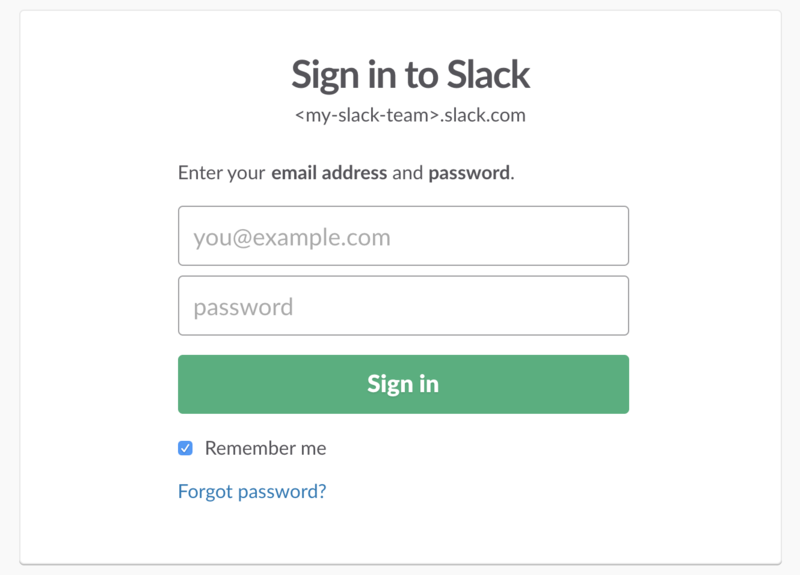 Then Click Add Slack Integration button. 3. 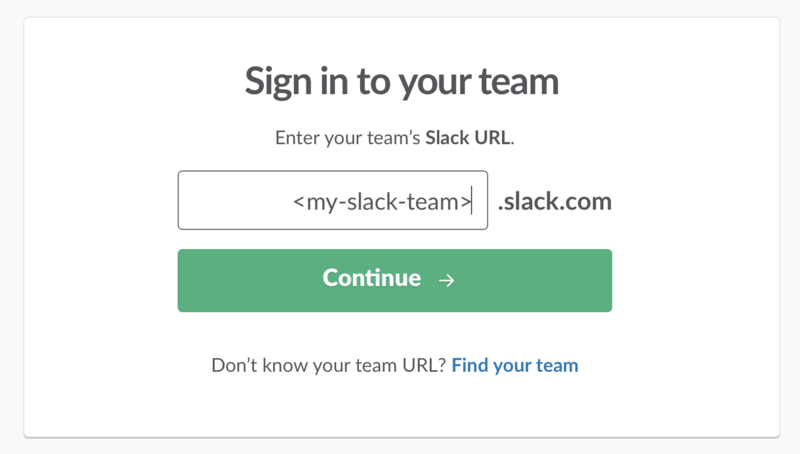 Sign in your Slack team using your credentials. 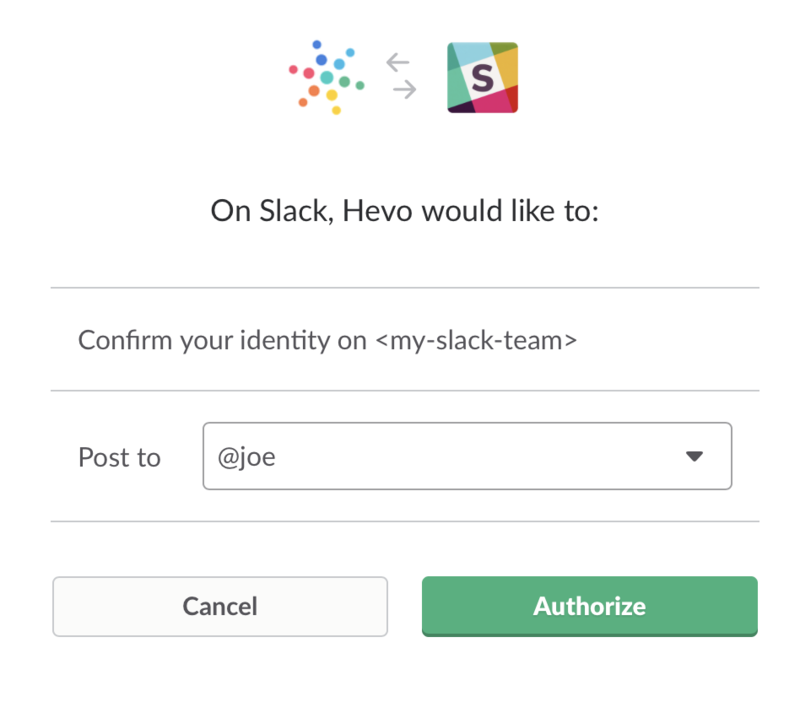 After sign in, you will be taken to the Slack authorization page to connect Hevo app to your slack team. You can use Slackbot or your user to get personal alerts sent directly to you. 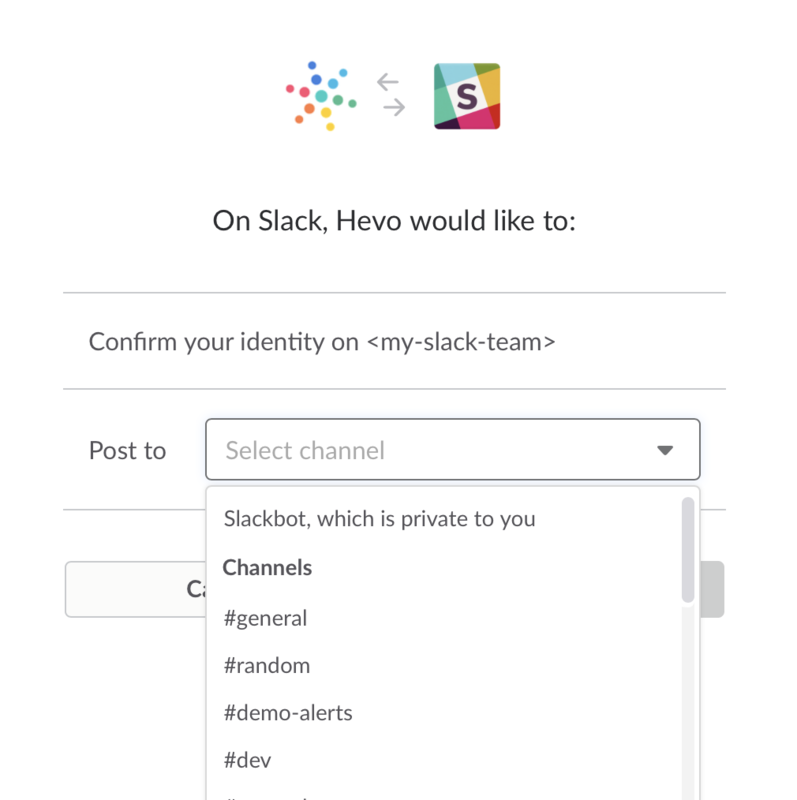 Hevo can connect to your slack team now and will start pushing alerts to your selected channels. Note that you can configure multiple channels for alerts. Just click on Add Slack Integration again and follow the above steps. © Hevo Data Inc. 2018. All Rights Reserved.